Extreme caution should be taken when selling equity for cash to avoid legal, ethical and tax consequences. 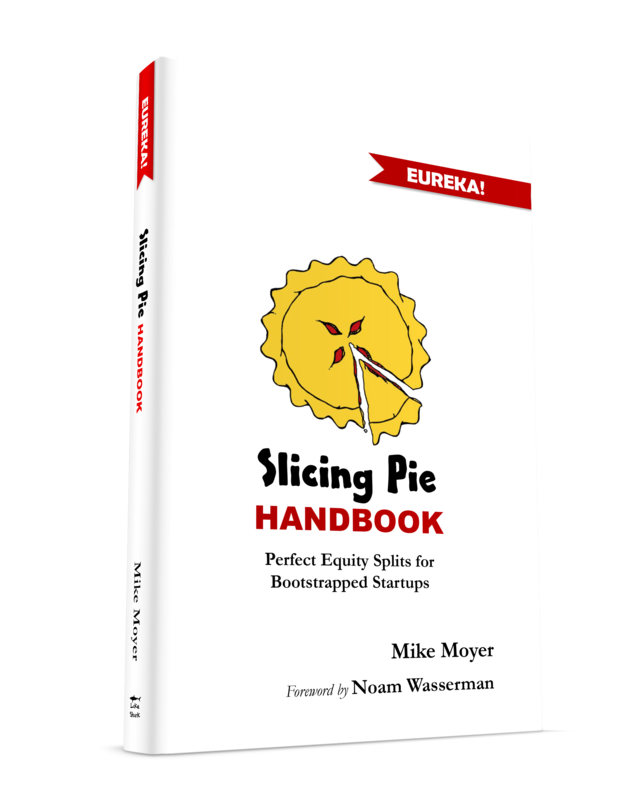 In my experience, once someone understands how Slicing Pie works it will be obvious why it works and implementing it will seem much more straightforward. If your lawyer doesn’t want you to use Slicing Pie and isn’t willing to learn about how it works: find another lawyer! If you want to be fair, use Slicing Pie. It will always give you what you deserve. If you want to benefit at the expense of others an old-fashion fixed split will give you the tools to let your ego and greed take control. One of the most common mistakes I see founders make is accepting cash investments from founders or employees who are also drawing a full or reduced salary. The idea, which is not a bad one, is that an individual would “buy in” to the company and get some “skin in the game.” The problem is that if the person is also drawing a salary all you have really accomplished is to create a tax consequence for both the company and the individual. To make matters worse, you also dilute the Pie. A company policy is a rule of conduct that is designed to serve the interests of both the company and the individual. Policies are shared with employees and help them do their job. Company policies are usually spelled out in a company handbook or similar document.